Posted on April 6, 2012 by Lupica G.
The rich and the famous often get the best toys around but sometimes there are cars you can’t buy regardless of the money in your pocket. 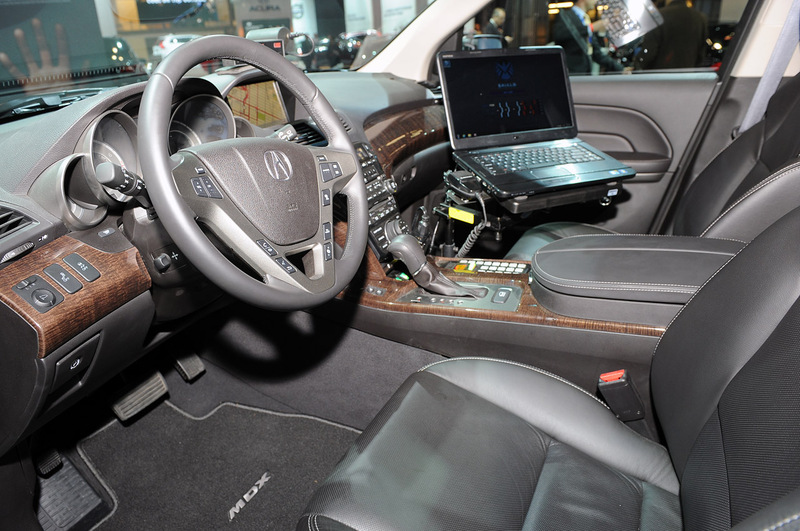 One such example would be this custom Acura MDX. It is on display at the New York Auto Show but it’s not a concept and it’s never going to go on sale. It won’t be a limited edition and it’s not a one-off for some very rich collector. This is because it reached the highest level of car notoriety. This particular Acura MDX will be a movie prop star. It will be featured in the upcoming superhero movie “The Avengers”. 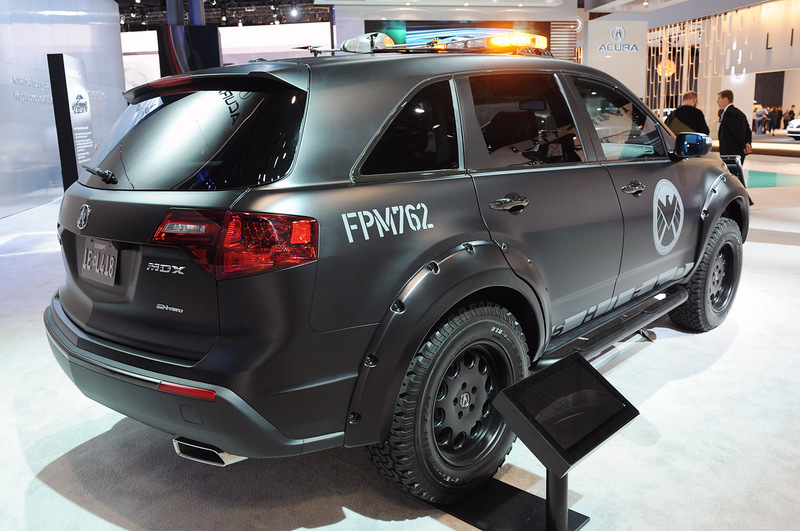 As some of you can probably tell by now, this beefed up Acura MDX will operate under the Strategic Homeland Intervention, Enforcement and Logistics Division’s banner. That’s SHIELD for short and it’s one of the most interesting organisations in the entire Marvel Universe. There’s a number of reasons for that but the fact they have these Sentinel Package cars means the most. Sadly, the hunky looking Acura SUV doesn’t get any big show mods alongside the new matte paint job, the big bull bar and the emergency lights. In the movie however, we’re told it has a nine-speed transmission, diamond quartz brakes, a bullet proof body, an aerial drone and a host of weaponry. It would seem that CGI still has quite the important role in Sci-Fi movies but it’s good to know they don’t mess about with the entire car. Also, Acura’s efforts on the MDX are just a preshow to what’s going on with IronMan’s NSX. 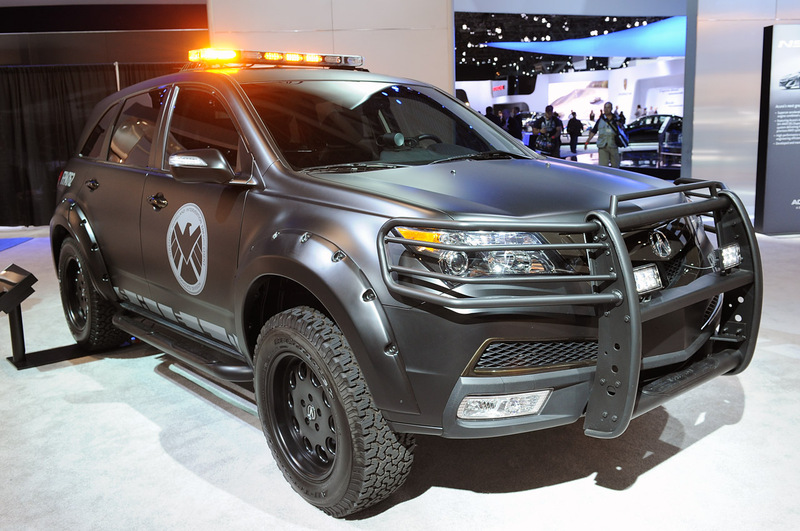 This entry was posted in Acura and tagged acura, custom, mdx, movie, movie star, new york auto show, shield, the avengers. Bookmark the permalink.